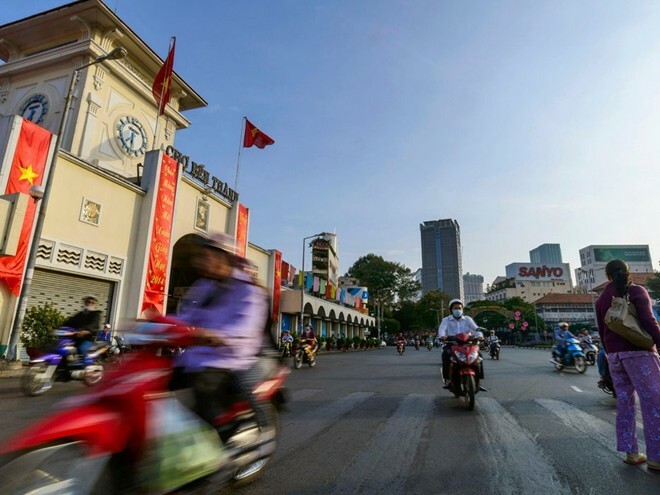 With motorcycle ride through Ho Chi Minh City (or also called as Saigon), Editor Calder from Condé Nast Travel shared his experience about the city, being famous for its fast-delicious-food. Besides restaurants like Pizza 4Ps with a daily handmade Pizzas, Cuc Gach Quan with an impressive design, HCM city is well-known for its local street food at Ben Thanh Market.This venue attracts both locals and tourists with very delicious street food. The street food vendors throughout the market sell their simple meals for the bustling shoppers, including various kinds of grilled seafood. These are grilled over the flame and packed in banana leaf. And the meals are also Vietnamese spring rolls, which are usually a combination of prawn, fresh vegetables, and rice noodle, wrapped together in a rice paper. These spring rolls are served together with hoisin sauces and roasted peanuts. 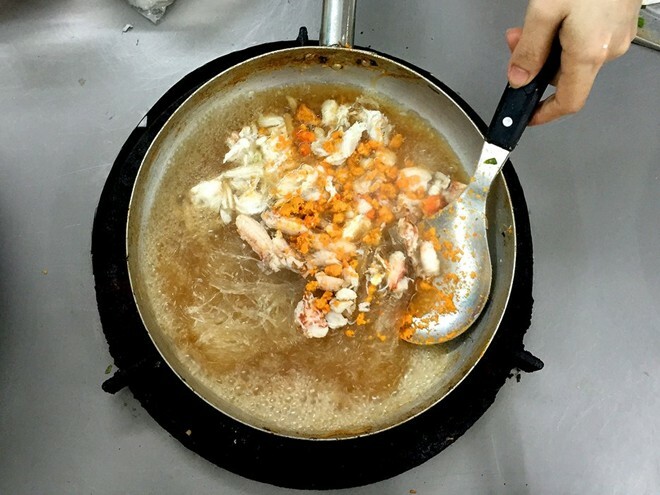 Ben Thanh market is an unforgettable street food destination. Photo: Alamy. 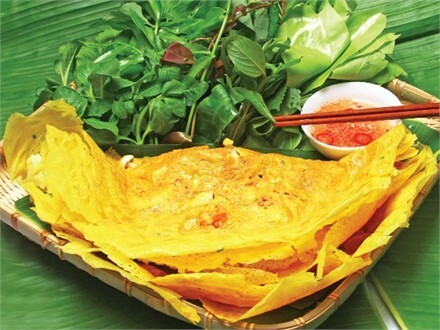 “Banh Xeo” is the name of typical Vietnamese pancake. This thin and crispy cake is heated up on the pan with a very hot flame. Inside the cake, it is filled with shrimp and pork-meat slices, together with bean sprouts and green onions, and finally served with fresh herbs or salad, chilly, and a sweet-sour dipping sauce (usually made of lime juice, sugar, and fish sauce). Especially, the cake is only cook when ordered. This is a special place for all things crab-related. Try “chả giò cua” - deep-fried crab spring rolls and “miến xào cua” - fried crabs vermicelli, contained no less than four types of crab. Fried crab vermicelli dishes in restaurant Thuy 94. Photo: Calder Quinn. 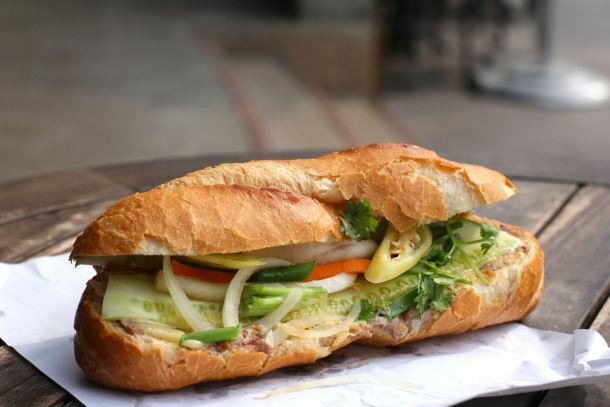 Both locals and expats agree that the best baguette in the city is only found at Banh Mi Huynh Hoa.This is where from 4 p.m. to midnight; there is a long queue, waiting for tasty meat and veggie-filled baguette. Their popularity makes the price here higher than average price, found from other street food: 32,000 Dong each (about $1.50 USD).